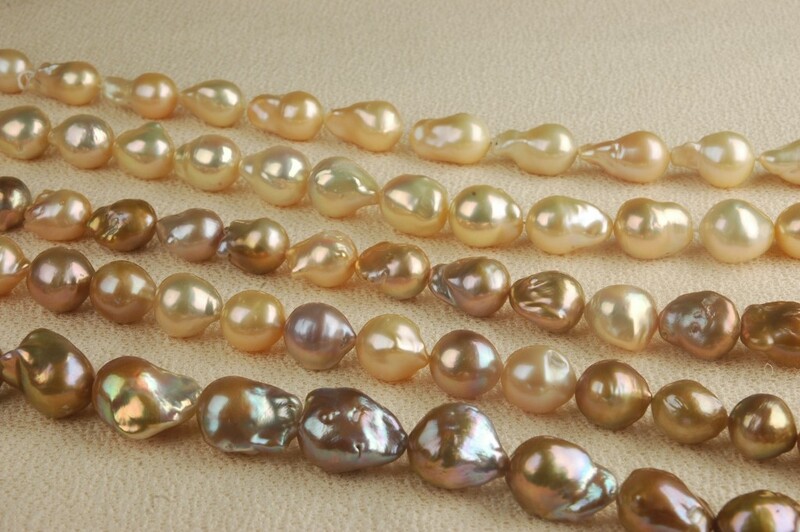 Nucleated pearls are pearls with an irregular non-spherical shape. Shapes can range from minor aberrations to distinctly ovoid, curved, pinch, or lumpy shapes. 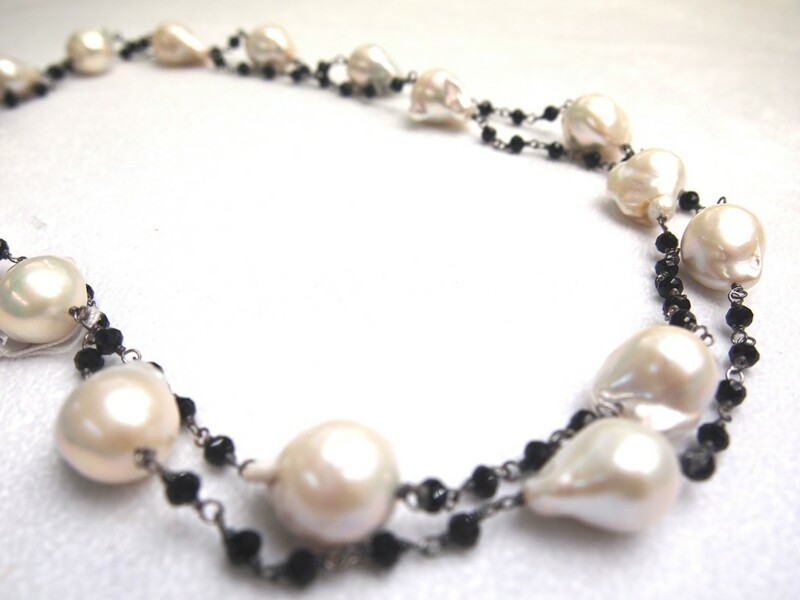 Most cultured freshwater pearls are baroque because freshwater pearls are mantle-tissue nucleated instead of bead nucleated. 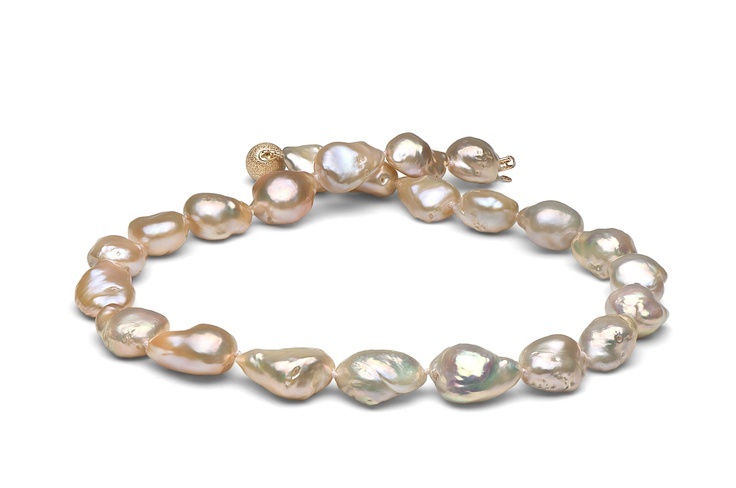 Cultured saltwater pearls can also be baroque, but tend to be more teardrop-shaped due to the use of a spherical nucleation bead.